The Kansas Academy of Family Physicians is excited to partner with the American Cancer Society Cancer Action Network (ACS CAN) for the premiere screening of a new documentary titled “Critical Condition: Stories of Health in the Heartland.” This short film, created by award winning filmmaker Ky Dickens, features community members and health professionals across the state – including KAFP member Rob Freelove, MD – sharing their challenges and triumphs of caring for themselves, their families, and their communities. These events are part of the launch of ACS CAN’s Medicaid covers US public education campaign. The campaign and this film are intended to foster an important and open dialogue about the role that Medicaid plays in the lives of our friends, neighbors and communities. Screening events will take place in Overland Park, Wichita, and Salina this week! Please join us! Welcome to the first Board Brief! Your Academy is committed to keeping you informed on all KAFP news. We hope you enjoy learning how your KAFP Board of Directors is working for you. Below is an overview of business conducted at the Spring Board Meeting on April 6, 2019. This meeting was a virtual meeting with the option to attend in-person at the Wichita Public Library. 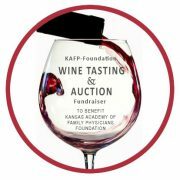 If you have any questions, please contact kafp@kafponline.org. This spring marked the first virtual meeting, a conference that is set-up at a location with virtual participation via video or phone. Board members could choose to attend in-person at the meeting location or via video or phone participation. Virtual board meetings will facilitate additional KAFP members from across the state to be engaged in leadership opportunities. The summer (board meeting following Annual Meeting) and winter (board meeting prior to Advocacy Day) meetings will remain as on-site board meetings. A balanced and robust discussion was held regarding a proposed resolution in response to an AAFP Congress of Delegates (COD) vote that was taken at the 2018 COD meeting. The discussion related to consideration of a poll of membership on a particular vote. 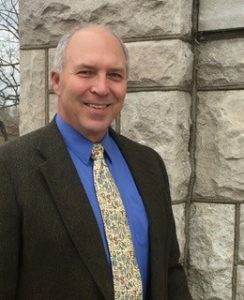 There was agreement that input from membership is desired, but the Board has outlined a process to solicit input from KAFP members not just on one item, but expanded to include multiple resolutions of interest, which will go before the COD. This process will be implemented for the 2019 AAFP COD meeting, and the initiative is expected to proceed for subsequent COD meetings. 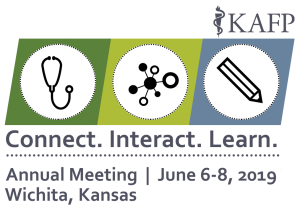 The Board approved a proposal on process to give KAFP members the opportunity to review resolutions to go before the AAFP COD, and provide feedback. Every effort is being made to give our COD delegates and alternate delegates valuable input from our membership. The Executive Vice President search committee presented to the Board recommendations regarding candidates for the EVP position (yes, Carolyn is going to retire, to spend more well earned time with family and friends). The Board reviewed the candidates in detail, and developed a proposal process for the search committee to retain a new EVP. It is anticipated that the new EVP will be present at the Annual Meeting, June 6-8, 2019. The KAFP-Foundation proposed nominations to the Foundation Board. These nominations were reviewed, and the KAFP Board approved these recommendations to move forward to the Annual Meeting. Don’t forget to vote! Elections for District and Faculty Directors are conducted by U.S. Mail ballot. Districts 1, 3, 5, 7 and Faculty Directors (Kansas City campus and Wichita/Salina campuses) are up for election this year. Ballots have been mailed to all voting members in the those respective districts/campuses and must be returned to the KAFP office by Tuesday, May 7, 2019. Questions? Contact KAFP at kafp@kafponline.org or 316.721.9005.